In its current Christmas campaign, the international Catholic pastoral charity and pontifical foundation Aid to the Church in Need (ACN International) will intensify its efforts on behalf of the various Christian communities in Syria. 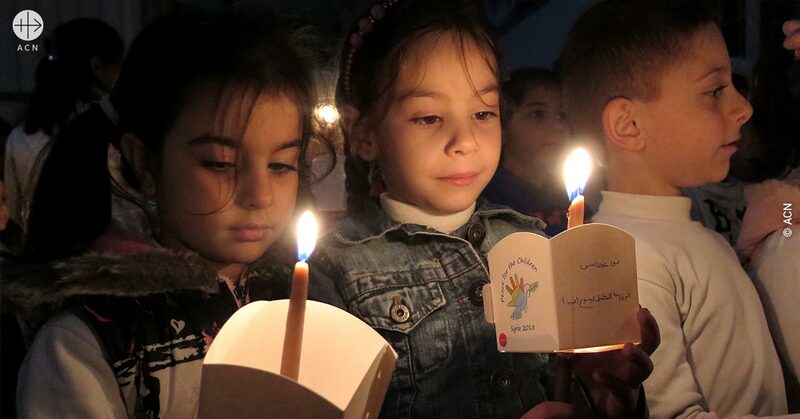 The Christian presence in Syria is in grave danger of becoming a relic of the past. Before the beginning of the war Christians accounted for some 10% of the population, around 2.5 million people. As of today it is estimated that approximately only 700,000 remain, which would amount to between 3% and 4% of the population – although it is difficult to give precise figures at this stage. This dramatic decline is a direct consequence of the humanitarian crisis sparked by the cruel civil war in Syria and subsequently aggravated by the open outright persecution of Christians at the hands of extremist groups such as Daesh /IS and Al-Qaeda. 3) Pastoral: Basic subsistence support for priests and religious sisters, training programs and spiritual care, as well as post-trauma support programs. 4) School fees and scholarships for children and university students, school equipment and educational materials, milk and food supplements for babies and children aged three years and under as well as token Christmas gifts for over 15,000 children. 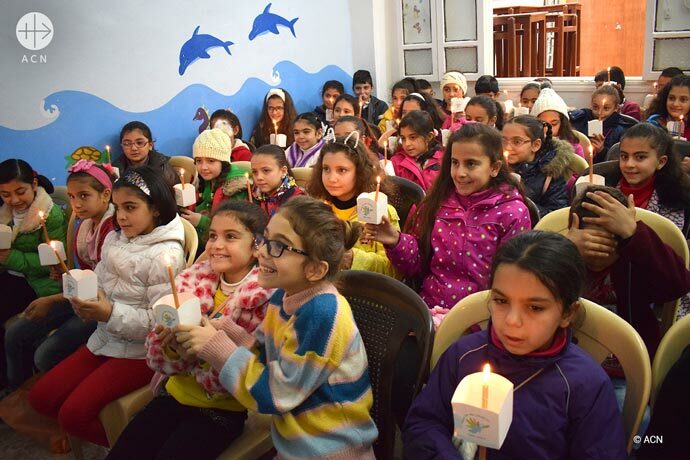 The campaign will be preceded by a symbolic action in which some 50,000 children from different Christian communities in six war-torn cities of the country (Damascus, Homs, Marmarita, Aleppo, Hassake, Tartous and Latakia) will light candles for peace. 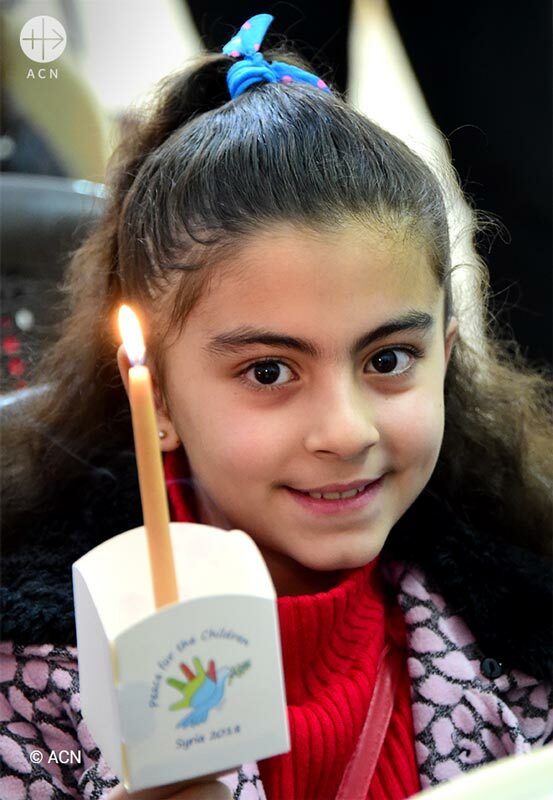 “By means of this Christmas campaign, ACN hopes to offer consolation to Syrian Christians in the suffering they are going through, for peace still has not arrived everywhere in the country. At the same time we hope to touch the hearts of all people of goodwill and mobilise the world to help this Christian community in the Middle East and allow the Syrians to stay put in their ancient homeland“, explains Thomas Heine-Geldern, Executive Chairman of ACN. The campaign will begin worldwide on the First Sunday of Advent. To mark its launch, the ACN foundation has organised various events, including a formal reception on the 3rd of December in Rome for ambassadors accredited to the Holy See, a direct link up via Skype with children in Syria taking part in the event Candles for peace, and a meeting at the European Parliament on 4 December, where testimonies will be given by two Syrian religious sisters who have been working with and supporting the country’s Christian communities throughout the eight years of the war and are now helping with the reconstruction programme. ACN is a pontifical foundation which, thanks exclusively to the generous support of private benefactors throughout the world, is able to support more than 5,000 projects each year, including persecuted Christians and other beneficiaries in greatest need in over 160 different countries. Since the Syrian war began in 2011, ACN has supported projects for a total of almost 29.5 million Euros in the country.